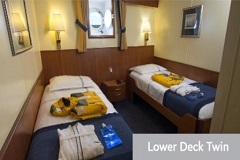 Discount on standard cabins on selected departures. Available on selected departures. Valued at US$800. 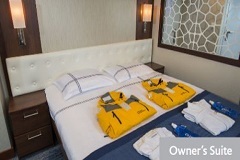 Discount on premium cabins on selected departures. Available on selected departures. Valued at US$400. 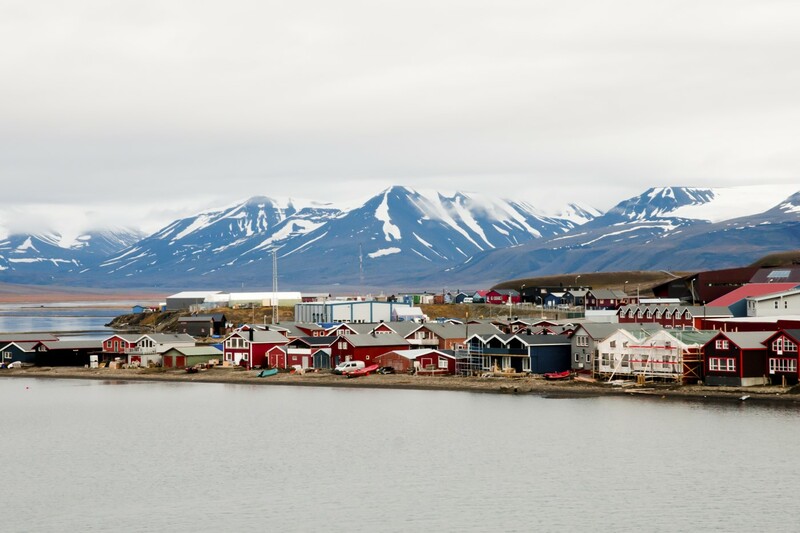 Your Spitsbergen adventure cruise begins when you board your ship in Longyearbyen, the island’s largest settlement. As you embark, you’ll get great views of the mountainous landscape that serves as a backdrop to this seaside settlement. 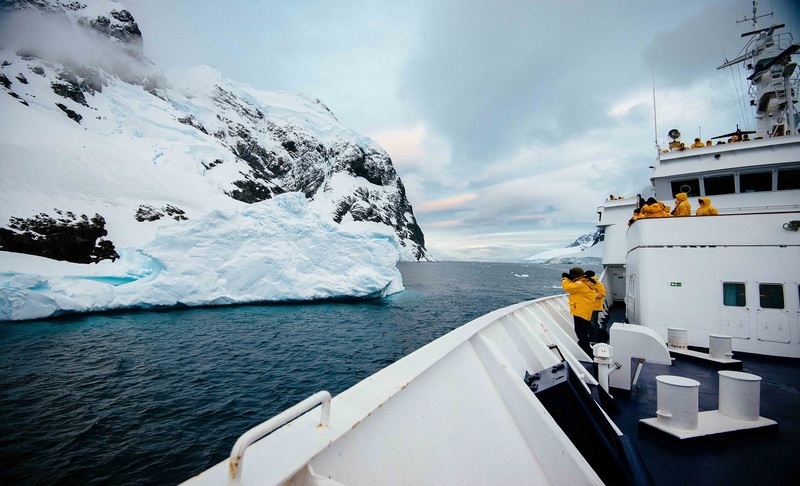 We cruise around this magical island, on a constant search for wildlife. 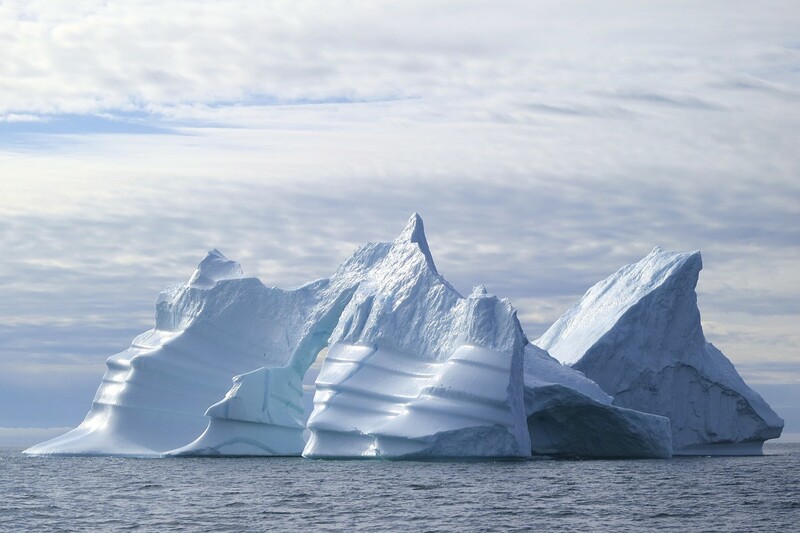 Your expedition will cover western Spitsbergen as well as some stunning fjords and outlying islands to the north. From polar flora to immense glaciers, the natural landscape here is just as varied as the wildlife. Each expedition presents new opportunities, so we have no fixed itinerary, however we do have some favorite destinations, including 14th of July Glacier, Smeerenburg, Alkefjellet and the Hinlopen Straight. 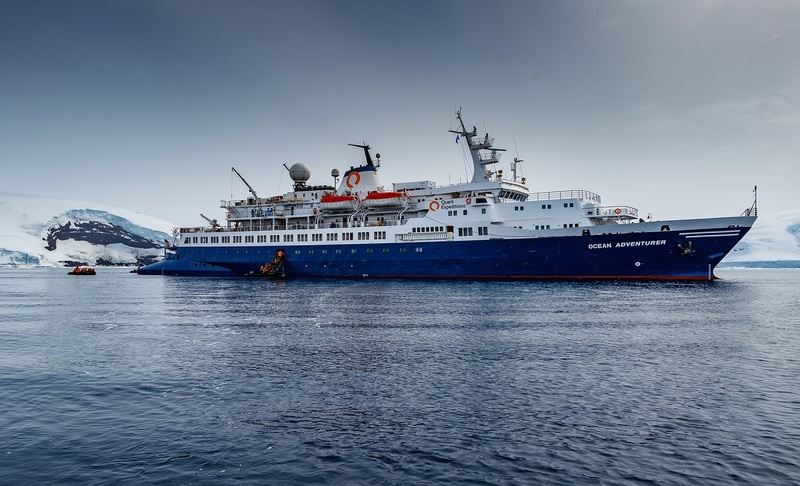 The destinations visited on your voyage will be selected for optimum wildlife viewing and appreciation of the history and geology of Spitsbergen. 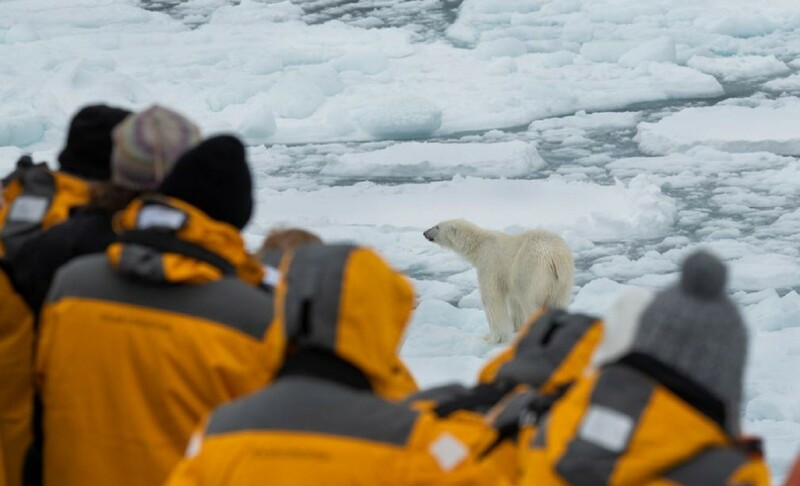 Polar bear viewing is almost guaranteed, with Hornsund being one of their preferred hunting areas and the towering cliffs of Alkefjellet providing many free bird egg meals for both them and the Arctic fox. Poolepynton is great for walrus photography. 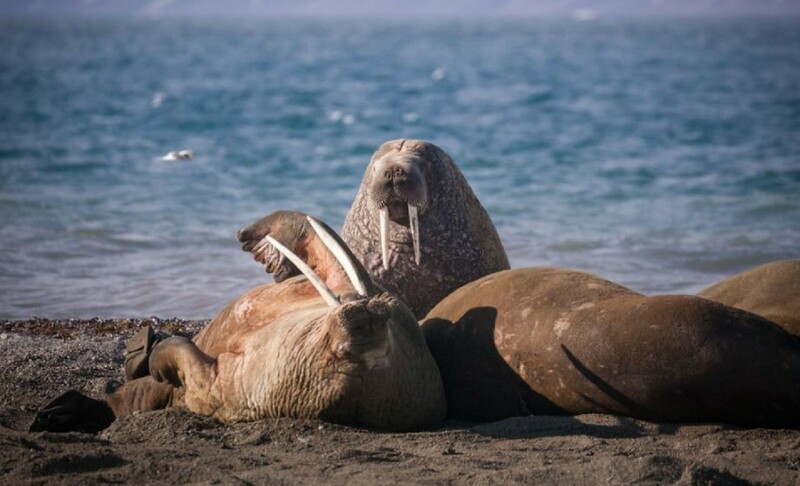 Coming across a walrus haul-out is a moment you won’t forget either. These lumbering giants of the Arctic create quite a noisy scene, as each walrus vies for a choice spot of coastline. If you’re itching to get a little closer to the action, then taking a sea-kayaking excursion to some of the more isolated pockets of Spitsbergen is highly recommended. Smeerenburg is a great place for an optional snowshoeing excursion (on selected voyages), as you can visit a memorial erected in 1906. This historical site remembers the whalers who lost their lives in the 17th and 18th centuries while working in extreme Arctic conditions. 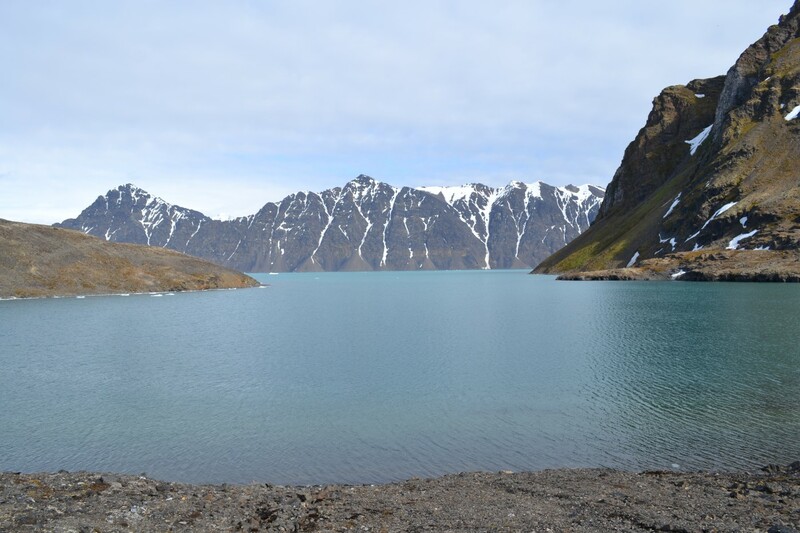 There is no shortage of natural beauty in Spitsbergen. The tundra can be surprisingly colorful in summer, with wildflowers bursting for a taste of sunshine. Each day you’ll see something new, whether it is a rare bird species or an abandoned hut from centuries ago. The time to say goodbye has come. Your adventure ends as it began, in the frontier-style settlement of Longyearbyen. From here we’ll transfer you to the airport for your flight home. 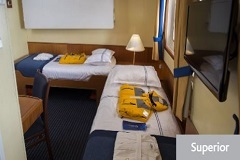 12m², two lower berths, one upper berth, on main deck, private facilities, porthole, porthole with exterior views. 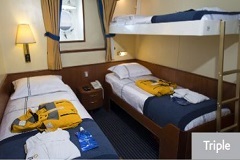 12m², two lower berths, on lower deck, private facilities, porthole with exterior views. 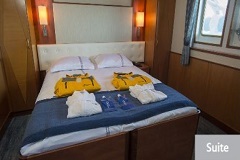 11m², has two lower berths, on main deck, private facilities, porthole with exterior views. 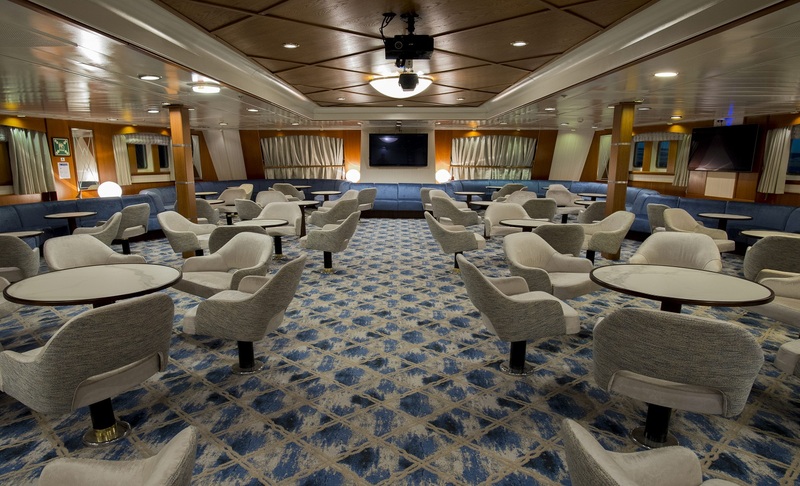 12.5m², two lower berths, private facilities, windows, exterior views. 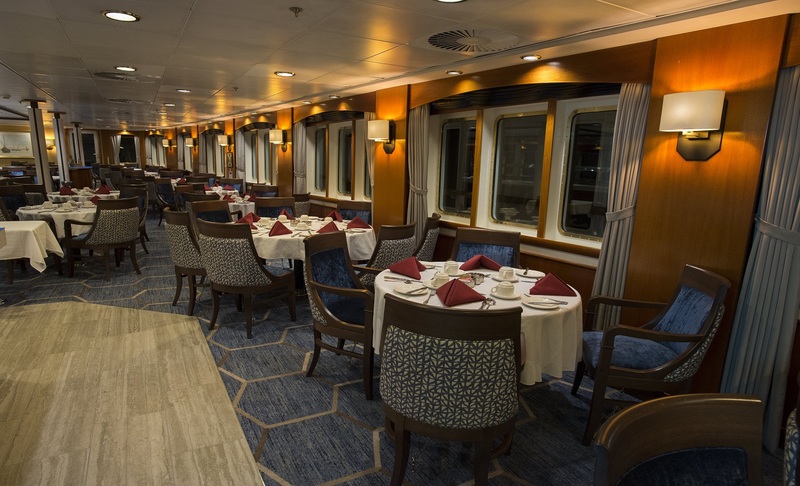 22m², double bed, on bridge deck, private sitting room, private facilities, large panoramic window, exterior view of aft, port and starboard.